The cutting-edge technology at the service of parents, it’s an update of eMyBaby, app developed by Cuatroochenta to Miniland Group. This is an update of a pre-existing App that aims to improve it, as well as to expand its functionality by reviewing its previous programming while respecting its design. 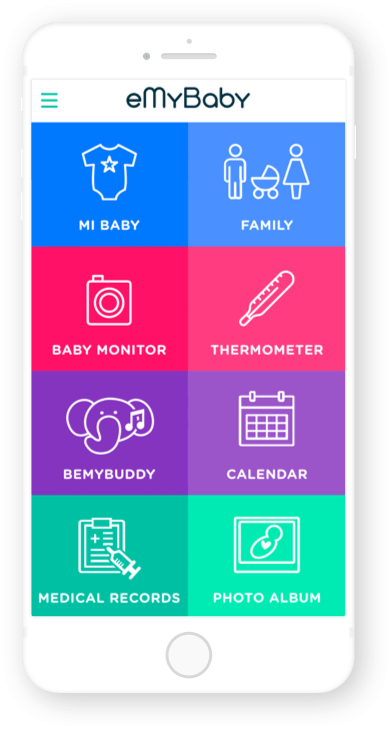 The eMyBaby App, which belongs to Miniland Group –a leading baby care company in the Spanish market-, has been designed to put cutting-edge technology at the service of parents so they can have a continuous bond with their babies and keep their quality of emotional life regardless of how busy their daily life is. The App helps to make parents’ routine easier, as it allows them to have all the main cares their children need in their own phones, so they can organize themselves better while being calmed and safe. It is free to download on Google Play and the App Store. The App also has a desktop version which can be synchronized with other complementary tools from the same brand (scales, thermometers, cameras…). IP baby monitor sight to follow all the baby movements by directing the camera from your tablet or smartphone, and even talk through it. When synchronized with the digital scale, the App shows the baby’s weight evolution with graphics and comparative analysis with the WHO recommended percentile. It is linked to the thermometer without the need of direct contact, which allows you to control and register temperatures. It can be connected to a Bluetooth speaker to play music from the App or from your phone. Appointment alerts, next vaccines or height and weight growth records. Collection of the baby’s pictures.